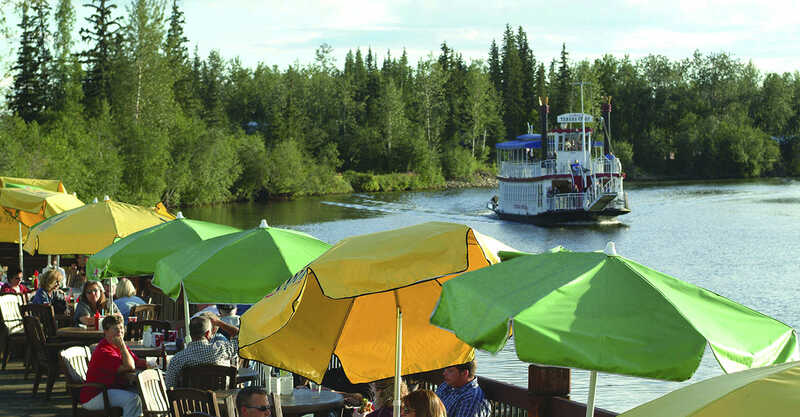 Fairbanks has long been known as “the Land of the Midnight Sun.” During the Midnight Sun Season which runs from April 22 to August 20 the sun never seems to set. Wake up in the middle of the night to find the sun shining brightly, people out biking and gardening and walking the dog. The Midnight Sun Season comes to a peak on summer solstice either June 20th or 21st. The town celebrates the sun with a variety of events during this period including the Midnight Sun Festival which takes place downtown. The endless sunshine transforms life in the far north in pleasing and wondrous ways. This far north phenomenon is a cool consequence of living on top of the world where 100-pound cabbages aren’t outlandish and golfing in the wee hours of the morning is commonplace. Flowers, vegetables and all things green and growing often dwarf their lower 48 cousins. The sun energizes people to be on the go at all hours. Favorite middle-of-the-night activities include hiking, running, golfing and even baseball. In fact, the Alaska Goldpanners start their historic solstice game at 10:30 pm and never have to use electric lights. 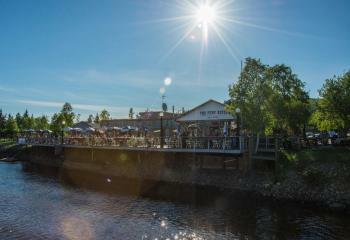 The Midnight Sun Season is teeming with activity as people are energized by the everlasting sunshine. Civil twilight is an aeronautical term for “usable daylight hours” and refers to the amount of light needed for a pilot to identify objects on the ground. When the center of the sun is geometrically six degrees below the horizon or less, people experience civil twilight or usable daylight hours. How many days of sunshine an area gets directly correlates with the latitude on the globe. 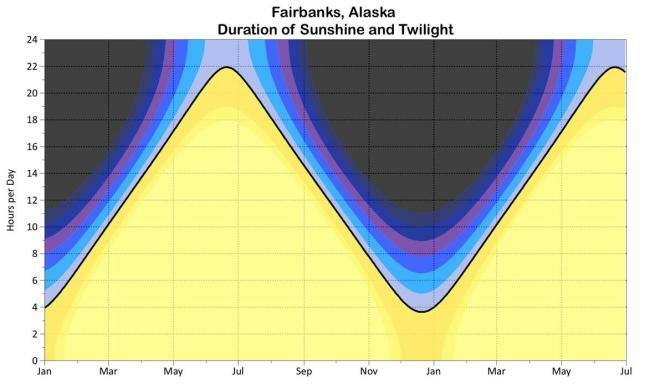 Here in Fairbanks there are 70 straight days of civil twilight—from May 17 to July 27. Continuous, pure sunlight 24/7 for 70 days— imagine that. 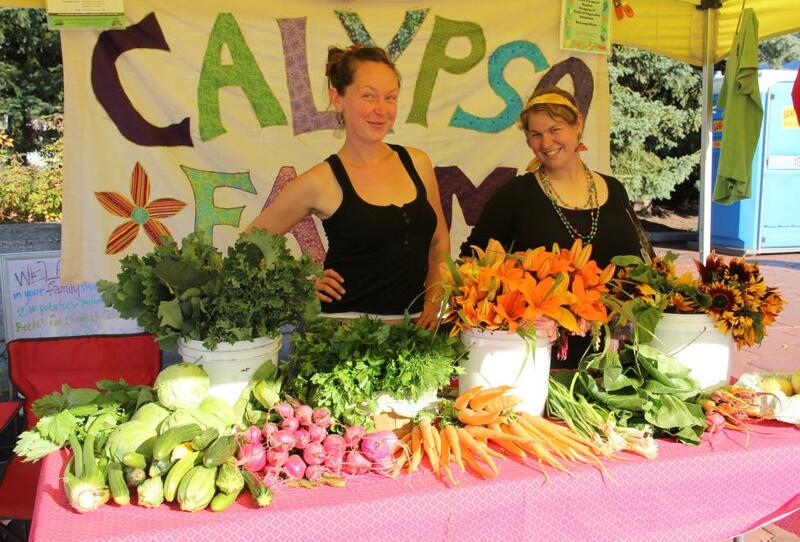 Fairbanks’ everlasting summer sunshine creates amazing growth and as a result the local farmers markets are truly extraordinary. Not only are they a great place to buy veggies but food stalls have sprung up offering an array of delicious cuisine like Vietnamese, hippy tacos, Alaskan meat sausages and, of course, the mandatory Thai. Additionally, local small businesses turn Alaska produce into for-sale items such as Alaskan jams, seasonings, mustards and more. Hand crafted artwork, gifts and jewelry adorn the markets—search for that perfect keepsake to remind you of your journey to the top of the world.